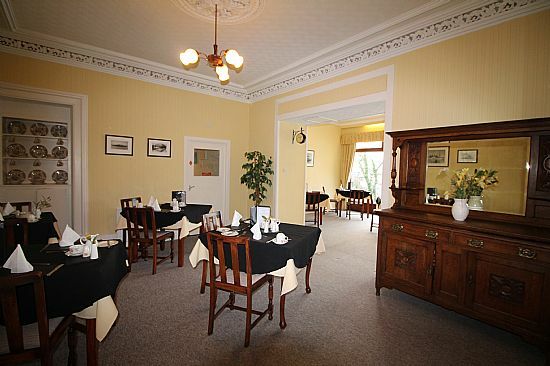 Strathnaver Guest House, Oban Accommodation. 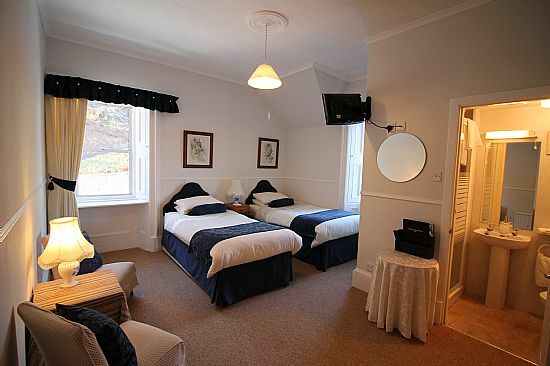 Our guest House accommodation and rooms are tastefully and individually furnished to a high standard . Care has been taken to design each bedroom with style and practicality so that you have a pleasant and memorable stay. We supply toiletries, hospitality trays, bath sheets, remote control colour tv and hairdryer in every room. Most are ensuite with showers. However one double room and one single room share a bathroom and, although we do not have family rooms, this would suit a party of 3. We have some rooms on the ground floor. Every room is supplied with information personally supplied about local attractions, day trips and activities. The bright and sunny dining room has a sea view and is the ideal place to start the day. As well as our world famous porridge there is a choice of fruits and juices, cereals, pastries, healthy seed and nut mixes, oatcakes and cheese from our buffet table as well a freshly cooked Scottish breakfast or you may choose from other menu options. If you have any specific dietary requirements just let us know ( preferably in advance! ) and we will do our best to accommodate you. Breakfast is served from 8am til 9am if however you have an early departure we can offer continental breakfast. 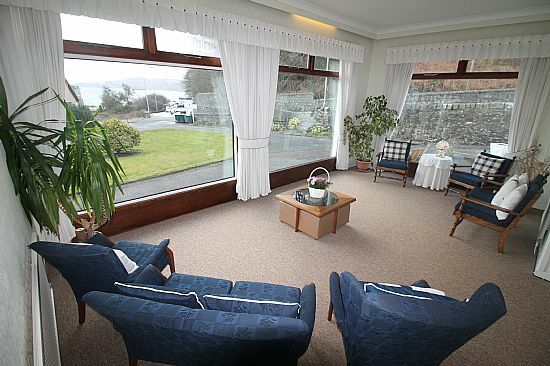 There is a spacious and comfortable Guest lounge with panoramic views of Oban Bay where you can watch the ferries or fishing boats passing or just admire the beautiful Oban sunsets. Sit and write your postcards at our writing bureau, read or simply relax . Strathnaver Guest House is completely non smoking.